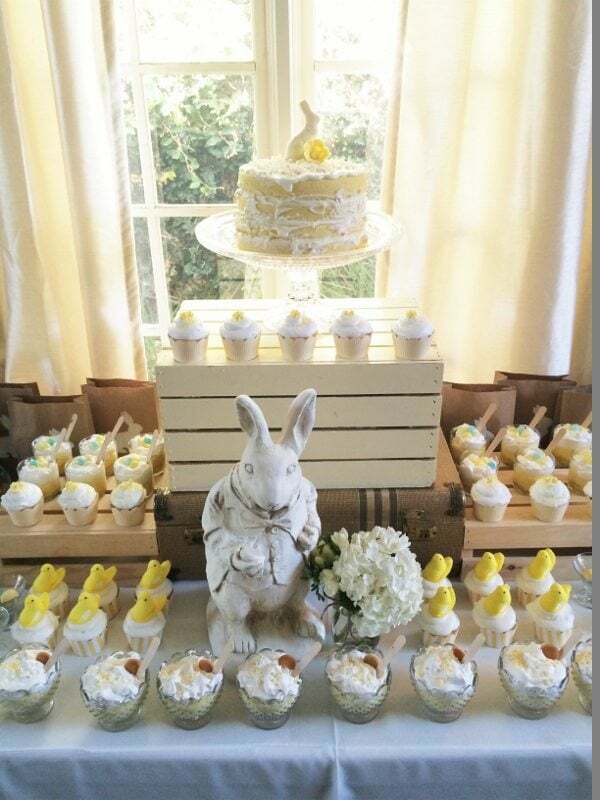 My best friend’s sister in law is the ultimate party planner extraordinaire. She can make any party, big or small, absolutely fabulous. 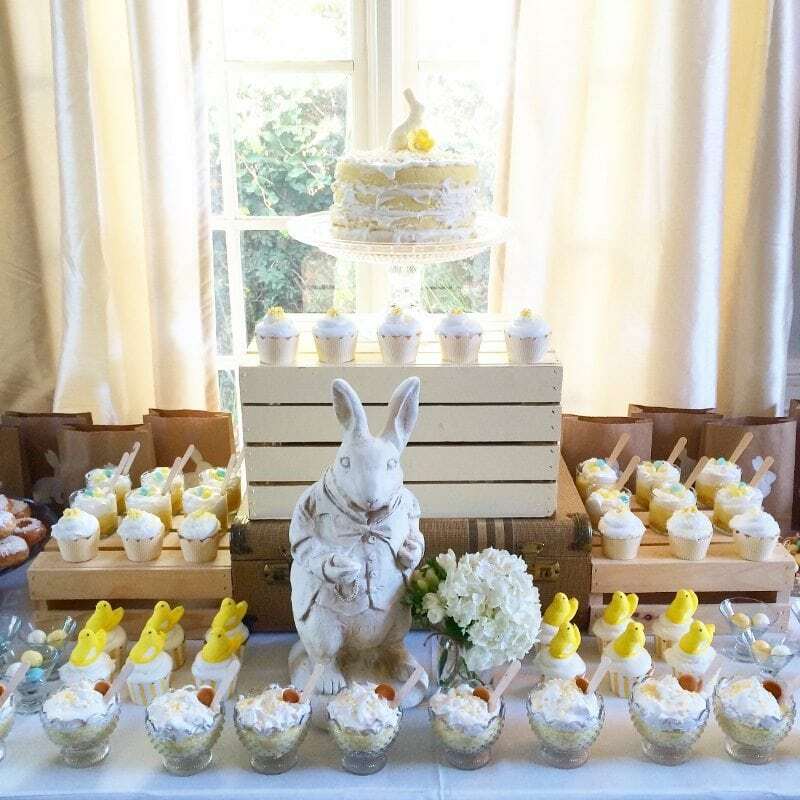 Last year, her family kindly invited us over for Easter and I just had to share this amazing Easter dessert table she put together for this small family event. 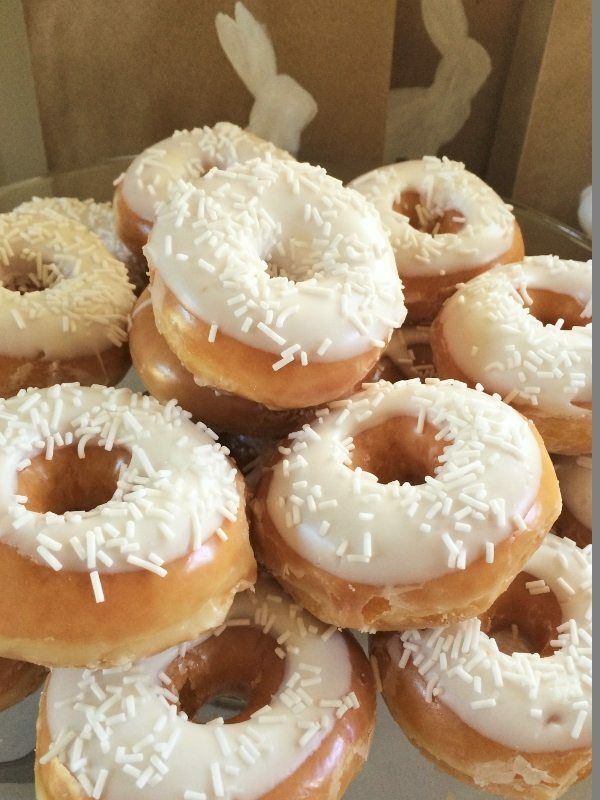 Besides the donuts, all these special treats you see here are homemade. I believe she ordered the donuts from Krispy Kreme’s. 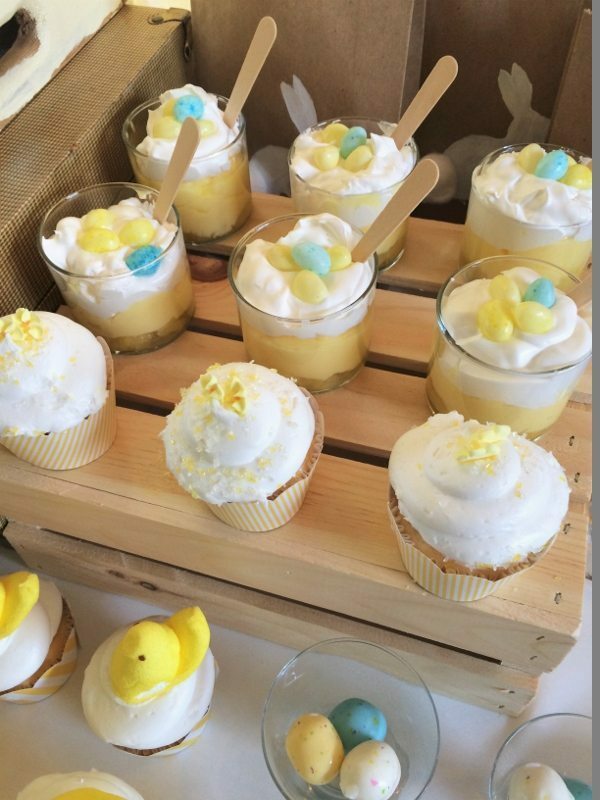 From the marshmallow crispy bird’s nests to the peep topped cupcakes, everything was delicious. It was absolute heaven for all the kids (and me). 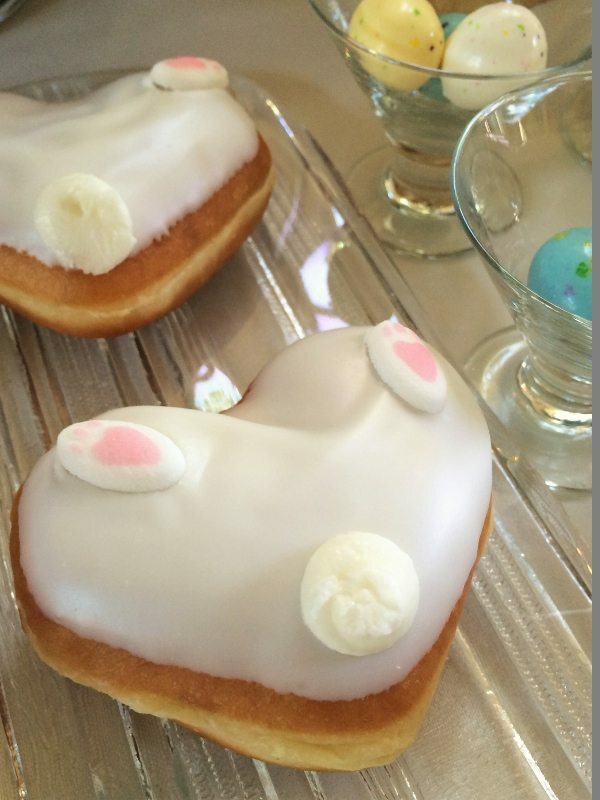 Aren’t these cotton tail donuts the cutest? You can buy these adorable bunny feet on Amazon. 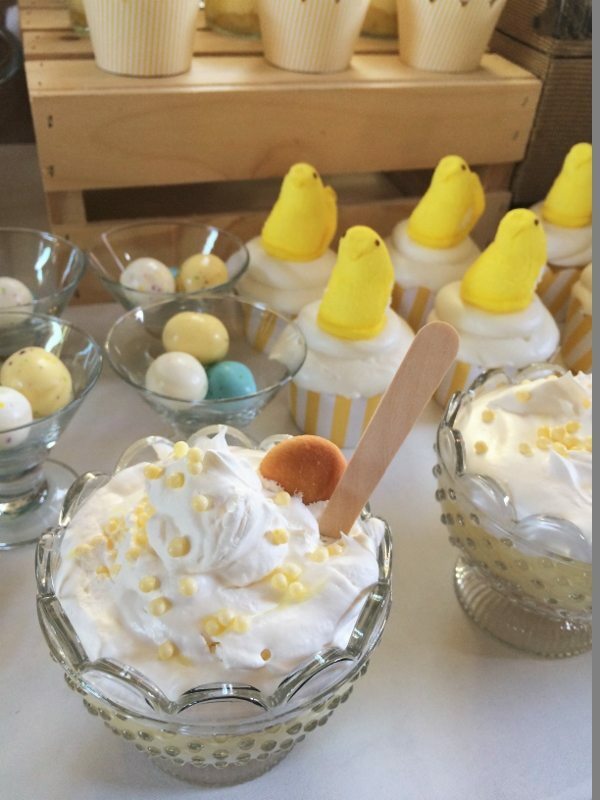 Here i my affiliate link: Wilton Industries Easter Bunny Feet Icing Decorations. 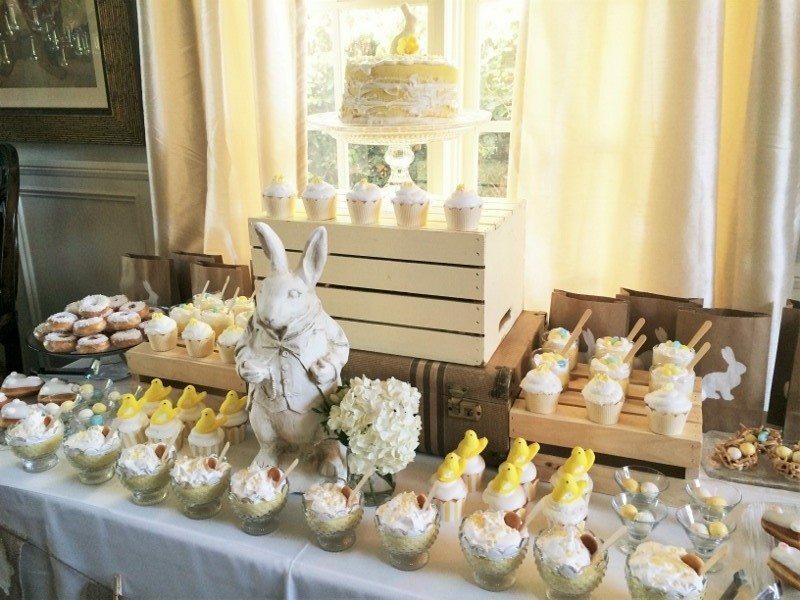 The table was in pastels and neutral colors and beautifully layered with wooden crates and an old suitcase. 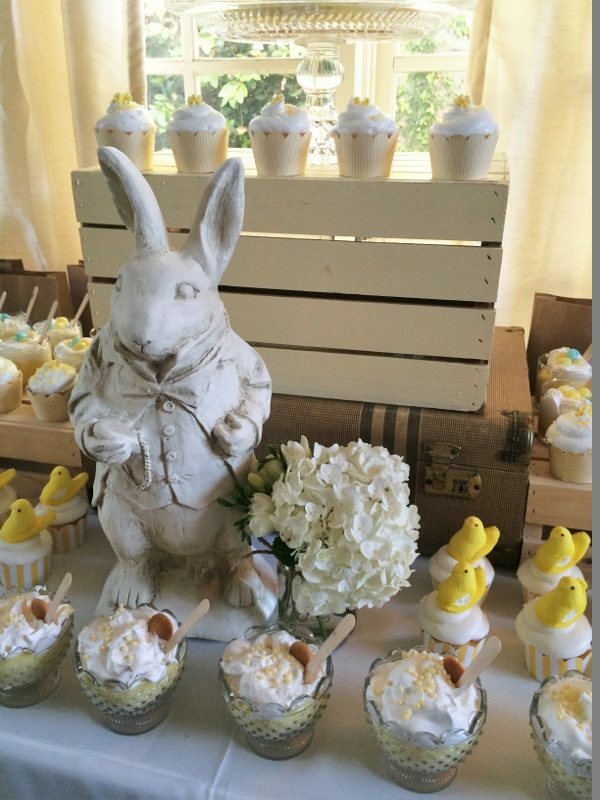 It was decorated with a burlap banner , flowers, and a bunny statue. 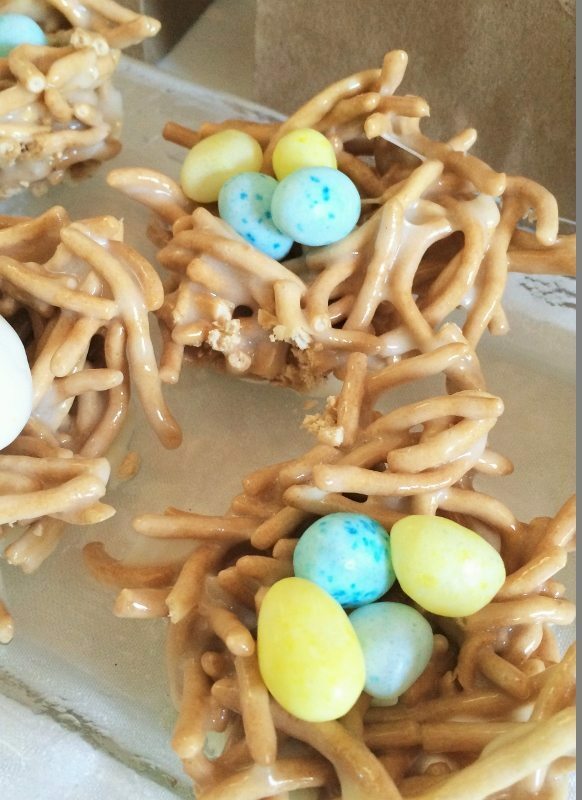 She made these nests just like rice Krispy treats with melted butter and marshmallows but with chow mein crunchy noodles. 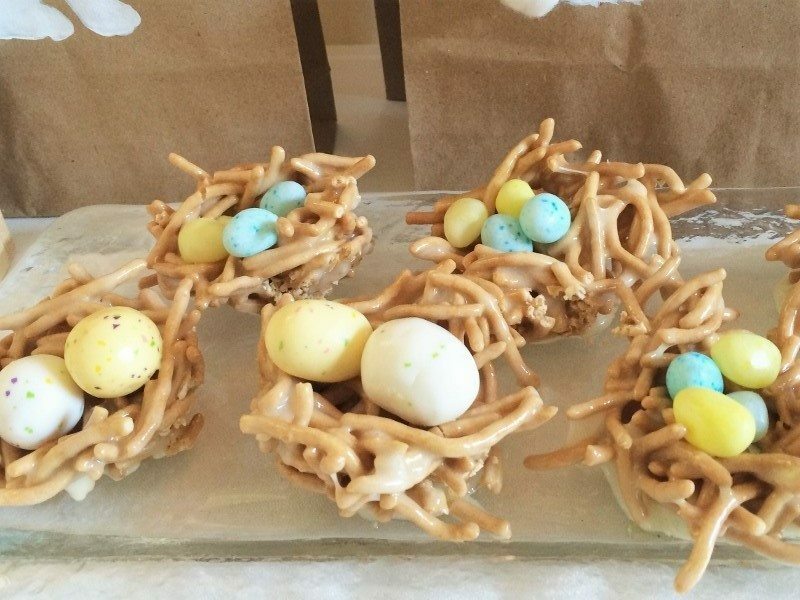 She refrigerated the nests and then once they cooled, placed chocolate robin eggs inside. 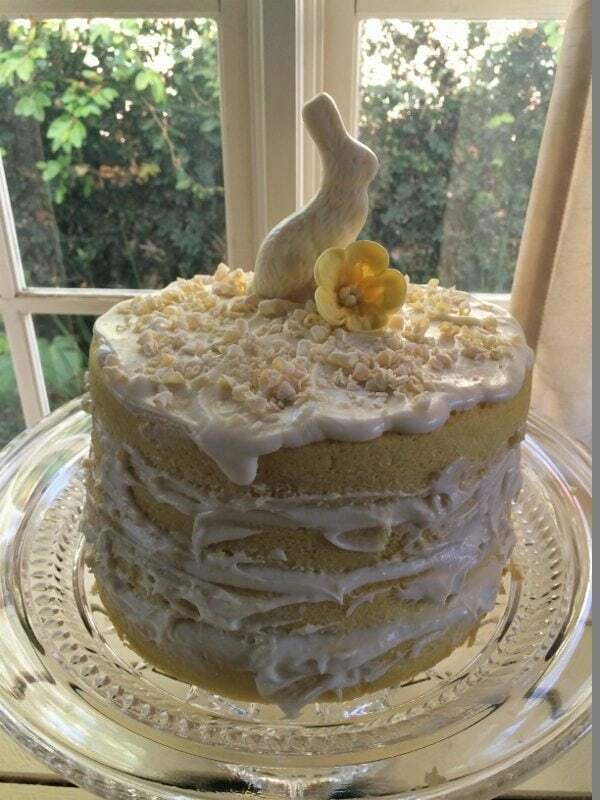 A delicious vanilla layered bunny cake served as the focal point. 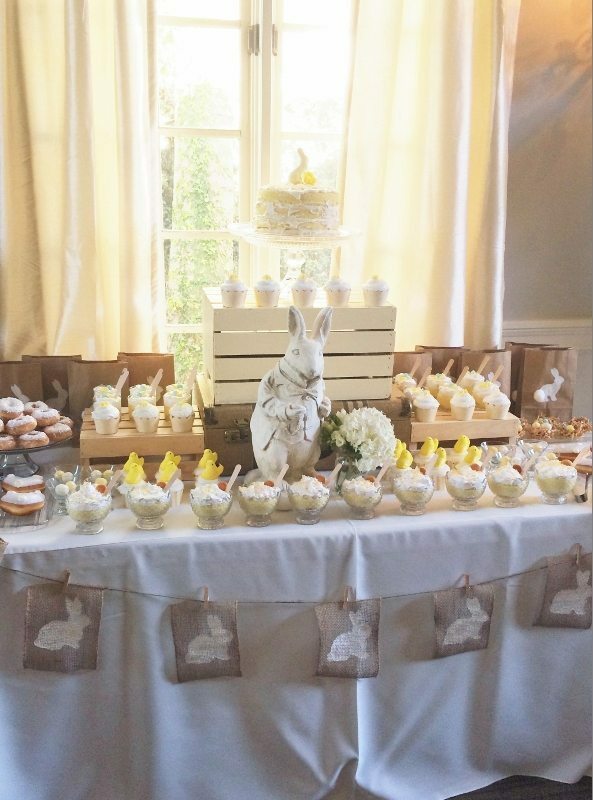 She even had bunny stamped treat bags to take home, complete with bunny tail. This was an absolutely gorgeous table that tasted as good as it looked!